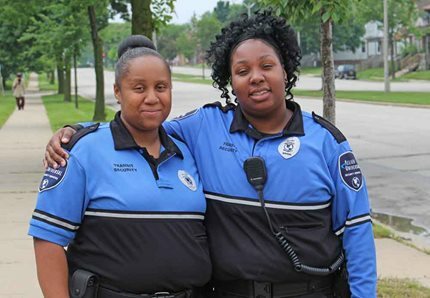 MCTS Security Officers Venea Reed and Anecia Caldwell were on patrol in Bay View on June 22, 2018 when they noticed a 10-year-old boy walking on the sidewalk looking lost. As mothers and dedicated Security Officers, they sensed something was wrong, so they asked the boy if he needed help. "He said he was trying to get home but got turned around and was lost," Officer Caldwell said. The Security Officers called the boy's mom to tell her what was happening and to let her know they would personally get him home. "I truly appreciate them (Venea and Anecia) going above and beyond and making an unfortunate, stressful situation better for both me and my son. They deserve to be commended. Thank you!"